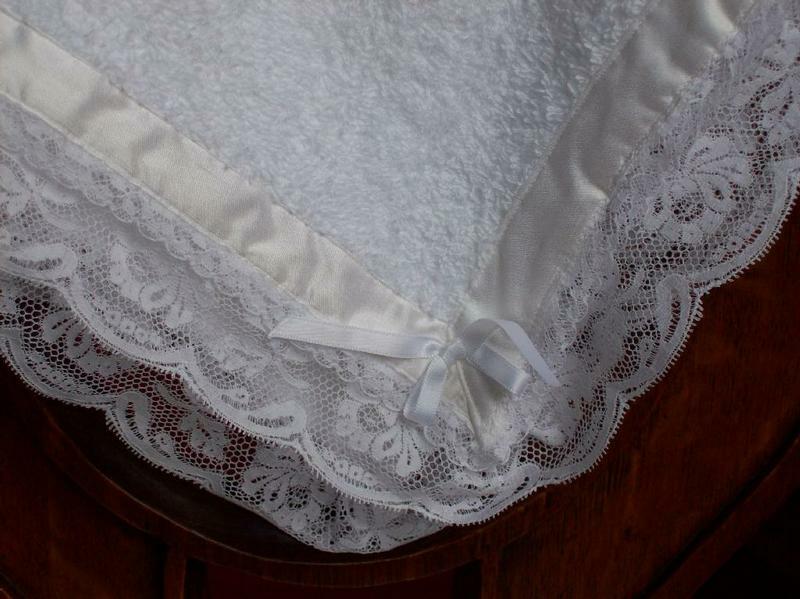 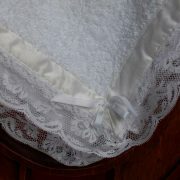 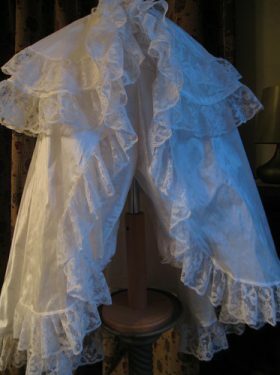 A beautiful 100% pure cotton towel edged with silk and cotton lace. 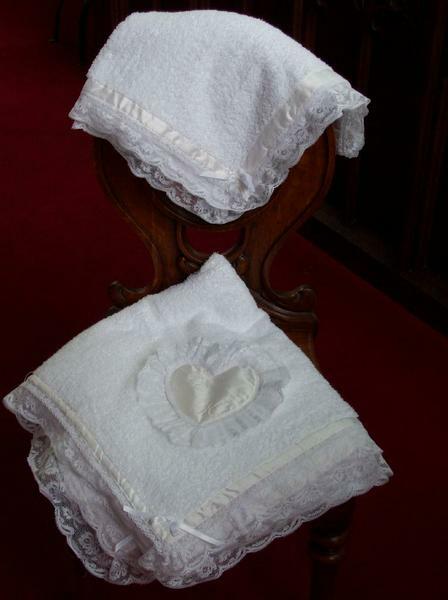 This towel is a lovely gift for any godmother and ideal for use during the baptism service for the Godmother to dry her hands. 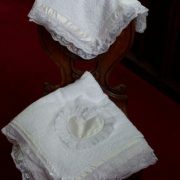 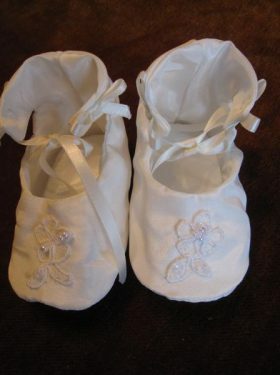 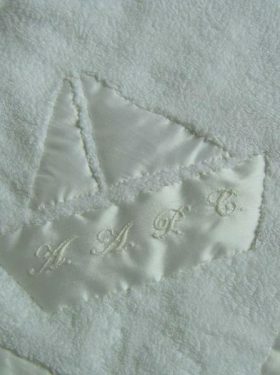 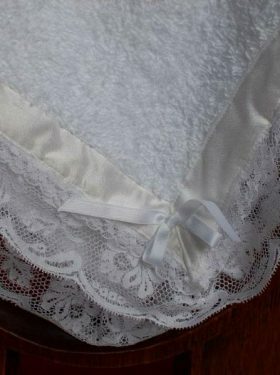 The towel can also be embroidered with the baby's initials and date of baptism if required.